Curly Seckler and Charlie Monroe, 1946. The Trail Riders, ca. 1940. 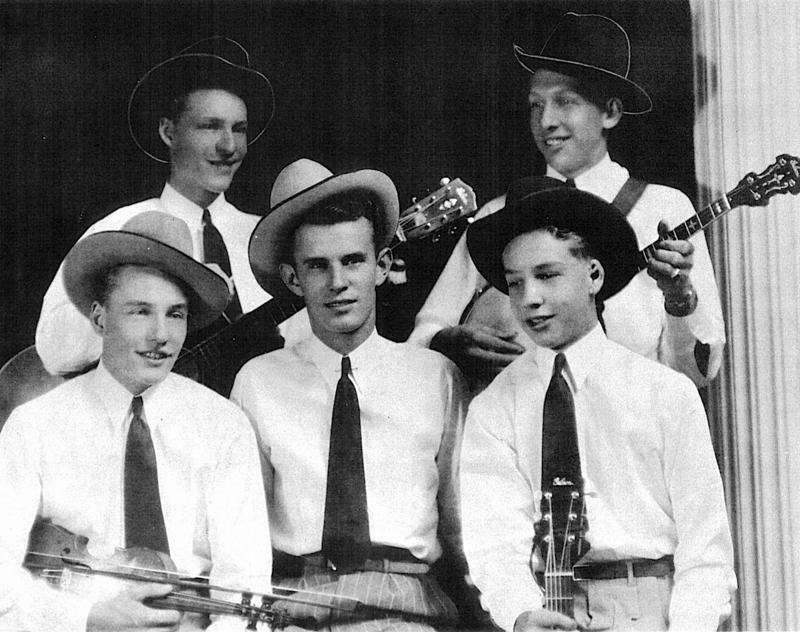 L to R: Front: George Sechler, Murray Belk (comedian), Duard Sechler; Rear: Marvin Sechler, Curly Seckler. 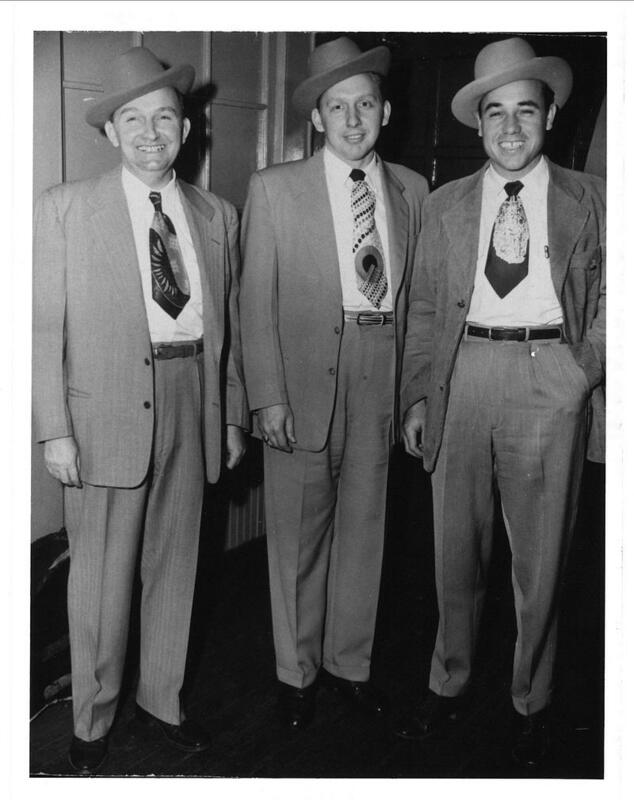 Lester Flatt, Curly Seckler and Earl Scruggs, 1949. "Foggy Mountain Troubadour: The Life and Music of Curly Seckler"
Host Frank Stasio speaks with Curly Seckler's biographer Penny Parsons. Curly Seckler grew up a farming kid in the tiny town of China Grove, NC and liked to listen to the Monroe Brothers on the radio. Eventually, he became one of the forebearers of bluegrass music as a part of the Foggy Mountain Boys. 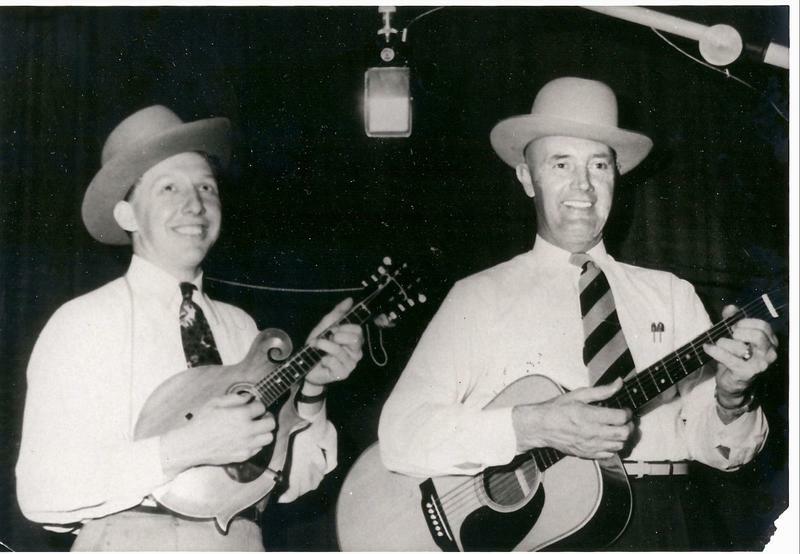 Seckler's iconic mandolin style and tenor harmonies carved a music career that spanned more than 50 years. 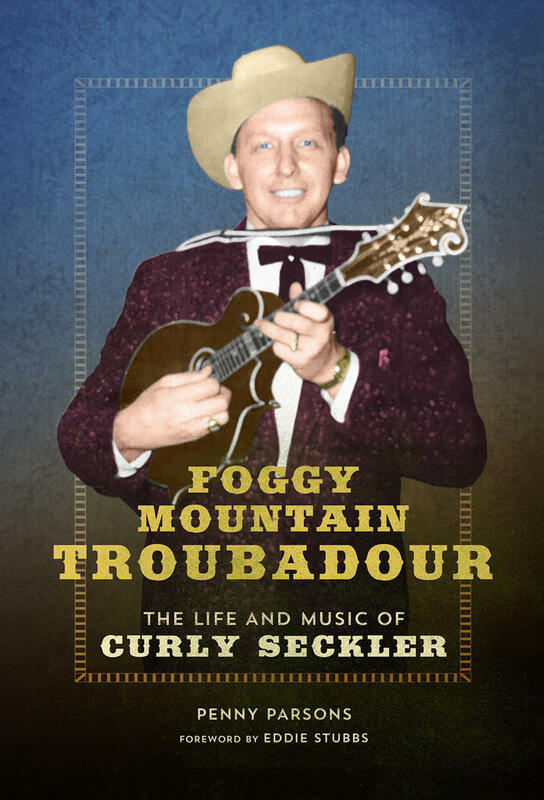 In her new book, "Foggy Mountain Troubadour: The Life and Music of Curly Seckler" (University of Illinois Press/2016), Penny Parsons recounts Seckler's journey from the cotton fields of North Carolina to the International Bluegrass Association Hall of Fame. Host Frank Stasio talks with Parsons about Seckler's life as an influential bluegrass musician. Parsons reads at 7 p.m. on Saturday, September 10 at Scuppernong Books in Greensboro and at 2 p.m. Sunday, September 11 at the Mount Airy Museum of Regional History. 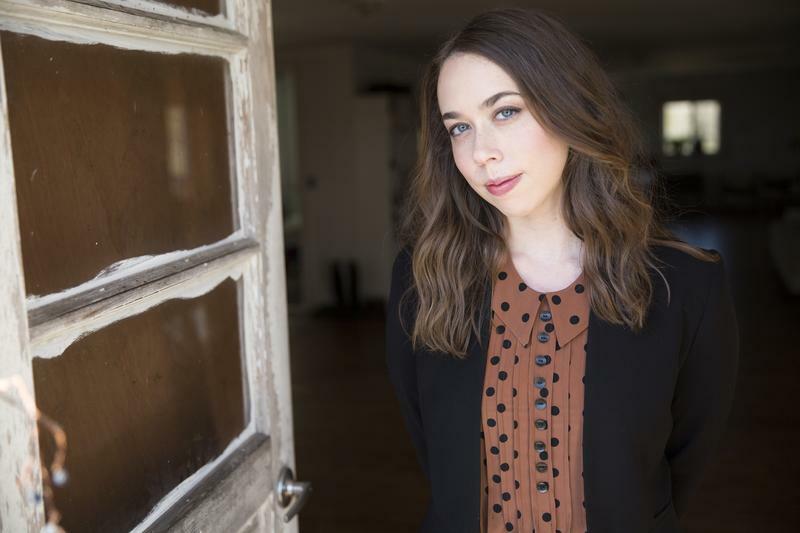 Hear WUNC's Eric Hodge talk with Sarah Jarosz about her new album, Undercurrent. Virtuoso Sarah Jarosz, 25, has released her latest project, "Undercurrent." It's her fourth album, despite only just recently graduating from the New England Conservatory of Music. Nepal and Appalachia are on opposite ends of the Earth, but their musical traditions show striking parallels. 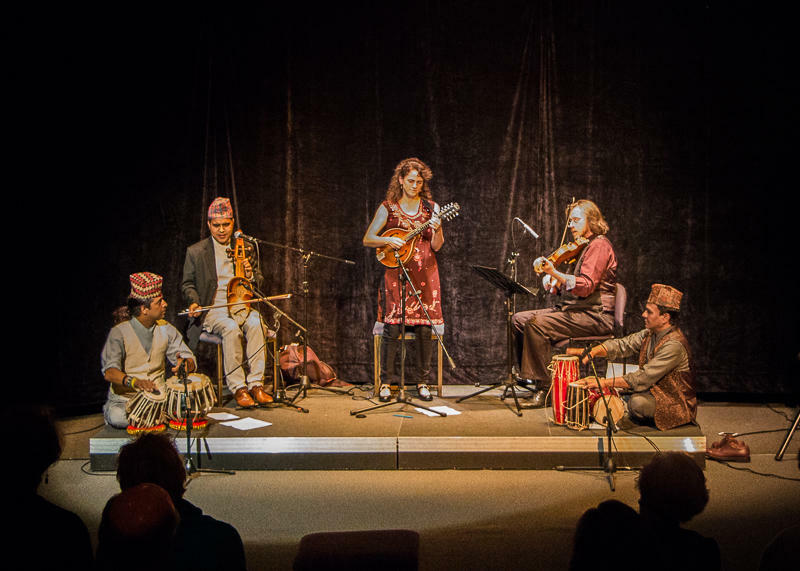 Bluegrass musician Tara Linhardt traveled with friends, her mandolin and camera around the Nepali countryside to find and play alongside musicians preserving the country's folk traditions. The result is a musical fusion of two worlds usually separated by cultural and geographic barriers.